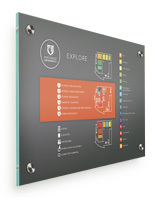 Wall Signs : Design, Print, Assemble, & Mount! 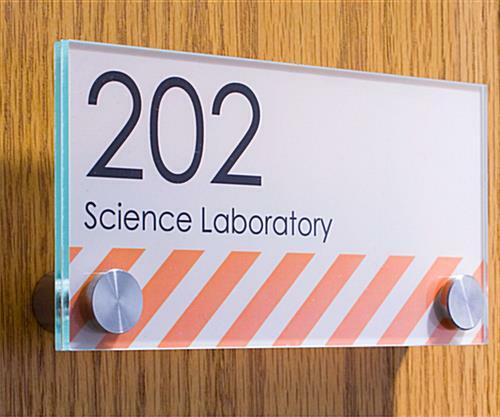 Office signs, including name plates and door signs, are most often used in corporate office settings to designate room numbers and locations. These particular office signs are an all-in-one sign system allowing you the freedom to create unique corporate signs for your business. 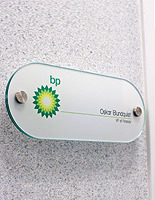 We provide office signs for sale with two types of printable film, clear and frosted. If an office room changes, simply replace the film, not the sign! 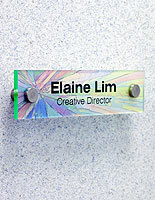 Create your office name plates from your choice of three template formats. Download the applicable template and insert logos, names, or images. Remember, you can print in B&W or Color! 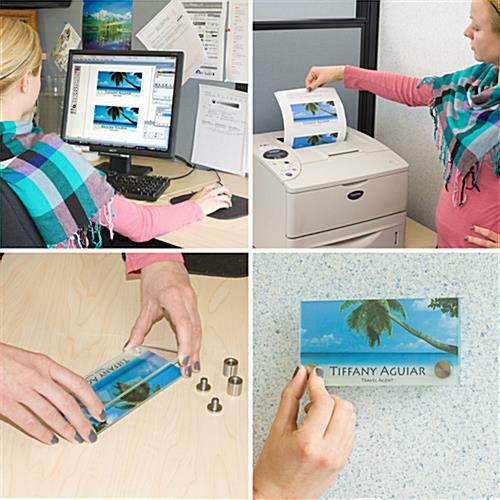 Carefully separate the printed film from the sheet and sandwich it between the two green-edge acrylic plates. 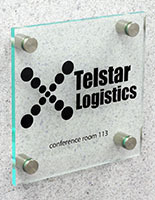 Once mounted with the stainless steel standoffs, your office signs are complete! 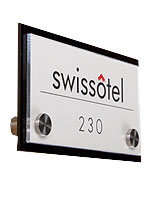 Buy these very affordable office signs for creating personalized door signs and name plates. They're a fun way to customize any office environment. Looks great, easy to set up, and at a great price—Couldn't be happier! We couldn't be happier with your review, Chris! These are easy to use and look really sharp but the price is a bit high. We purchased five similar signs previously and when the idea struck to put up another of a different size, I immediately came back to Displays2Go and knew just what to look for. Everything arrived promptly and in mint condition. 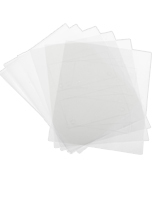 However, the envelope with the printing instructions and films came only with clear film and frosted films -- no solid white (which would be required to print what's shown in the sales picture.) The signs we bought before had included the solid paper (perhaps that only comes with version with a black backer?) I was able to use the sign, but had to cut out card stock and use scissors to create holes. I'll likely purchase a single hole punch if I'm going to make changes since it's not otherwise as tidy as what comes ready to print and go. Overall, I'd probably buy it again, but would anticipate more hassle if I was looking for a lighter color so the sign could be easily read on a darker wall. Hi Christy, Thanks for taking the time to review and letting us know about your experience. One of our customer care specialists will reach out to discuss further. Thank you! I bought this to identify every room in our new office. 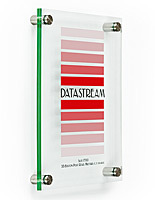 It is a great solution and comes complete with hardware, instructions, and printable films. THEY LOOK GREAT, VERY PROFESSIONAL. I ONLY WISH THAT THE FILMS THEY SENT TO PRINT ON WOULD BE FOR ONE NAME, IF YOU ONLY TO PRINT ONE NAME THE SECOND PLATE CAN NOT BE USED AGAIN (NOT ABLE TO RUN THRU PRINTER).